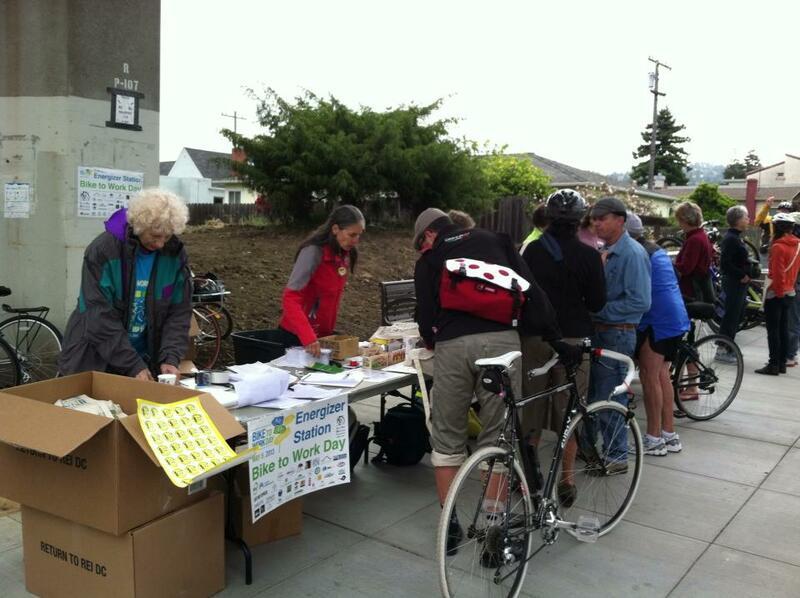 458 people rode by or stopped at our Energizer Station, including Albany’s own rolling home inspector, Jay Marlette. 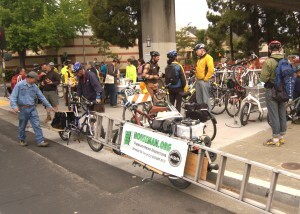 What a great Bike to Work Day! 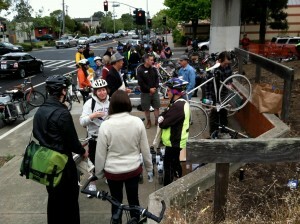 458 people rode by and so many of them stopped by to enjoy food, coffee and good company & conversation! We enjoyed having you at our Energizer Station and enjoyed the company of our Mayor, Peggy Thomsen who handed out bike bags to all comers. Albany Traffic & Safety Commissioner and former Mayor Farid Javandel led the 2nd Annual City Officials’ Bike to Work Day Ride Around Albany, which ended up at our Station. Thanks to both of you. 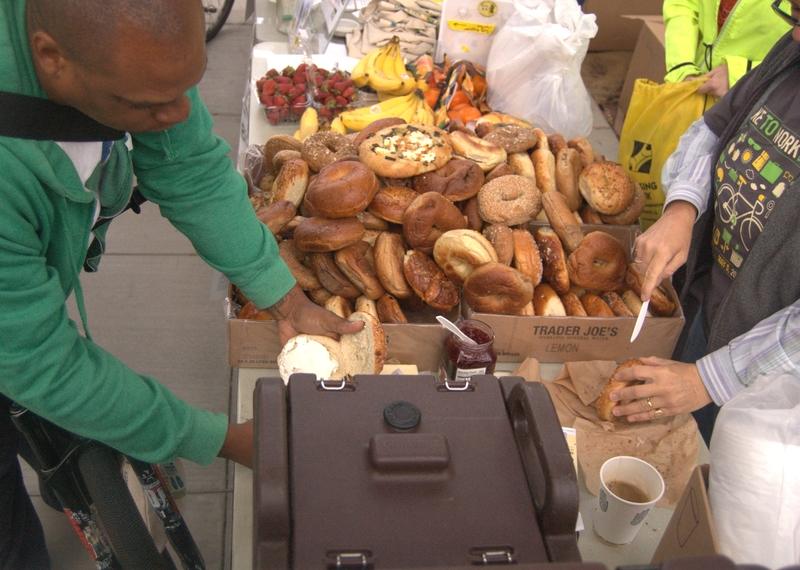 Plenty of food and coffee, thanks to the generous supporting local businesses! MANY THANKS TO OUR SPONSORS AND SUPPORTING BUSINESSES! Riders were happy to see staff from both Blue Heron Bikes and Wheels of Justice there for safety checks. AND TO OUR FANTASTIC VOLUNTEERS! THESE TWO HELPED WITH POSTERS – THANKS MUCH! Not many Energizer Stations could boast a Mayor handing out bags and swag. Ours could, as Peggy Thomsen volunteered all morning! Thanks to everyone who made Bike to Work Day so much fun and a success! See you all on the road!